Tensile Car Parking Sheds Approx. Price: Rs 350 / Square Feet Clients can avail from us a wide assortment of Tensile Car Parking Sheds at market leading rates. These sheds are fabricated using quality-approved machines and optimum quality raw material, which is sourced from our most trusted vendors in the market. These products are properly examined by the deft experts to ensure its high quality. 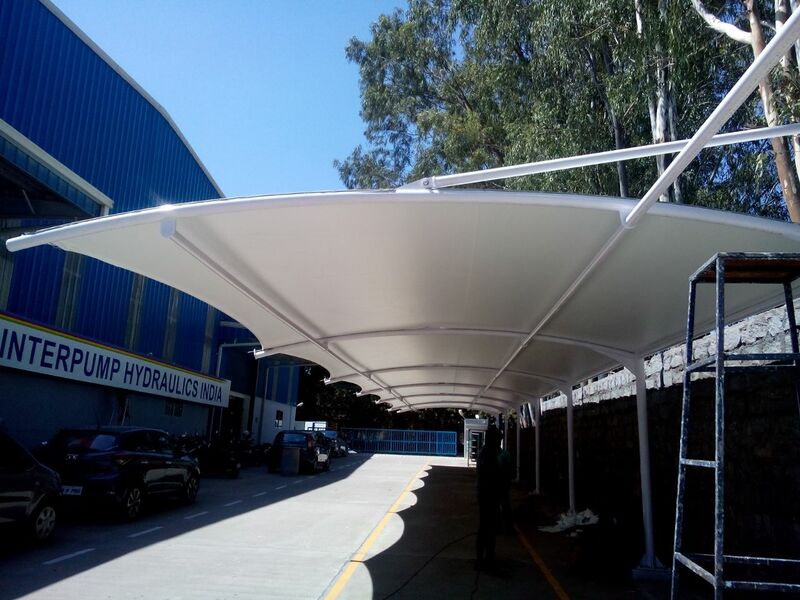 Features: Cost-Effective Optimum Performance Faultless Product Specifications: Type - Garages, Canopies & Carports Frame Finishing - Powder Coated Frame Material - Metal Pressure Treated Wood Type - Nature Sail Material - Polycarbonate TENSILE CAR PARKING ROOFING CONTRACTORS IN CHENNAI. NO1 TENSILE CAR PARKING ROOFING CONTRACTORS IN CHENNAI. BEST TENSILE CAR PARKING ROOFING CONTRACTORS IN CHENNAI..